Where are all the overwintering monarchs? 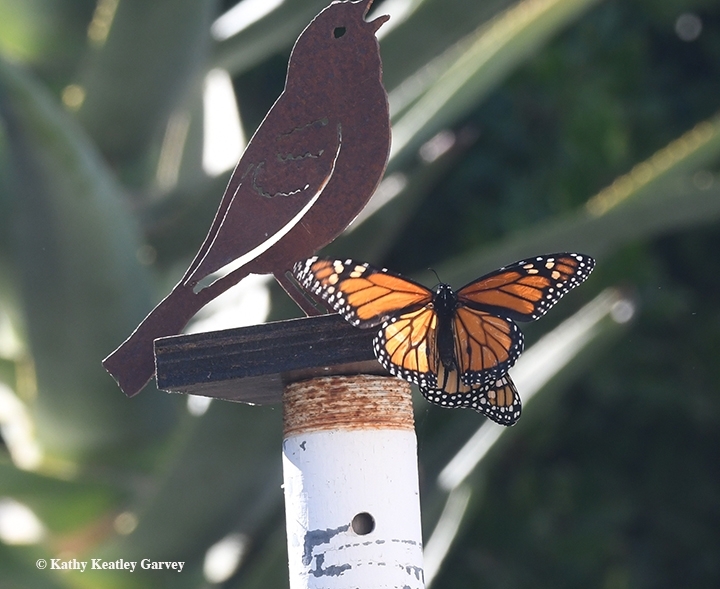 If you traveled to the Natural Bridges State Park in Santa Cruz this fall or to any of the other overwintering monarch sites along coastal California to see these iconic butterflies, did you see very many? 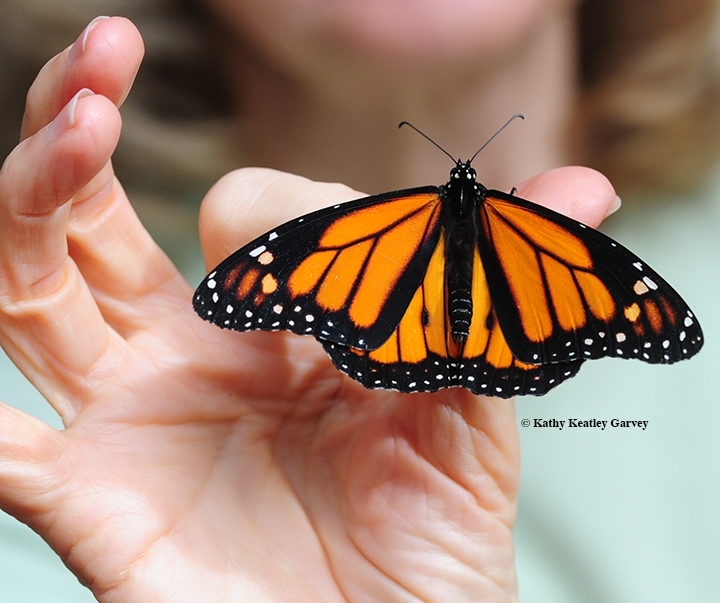 The Xerces Society of Invertebrate Conservation today announced "disturbingly low numbers" of monarch butterflies sightings. "The Western Monarch Thanksgiving Count (WMTC) has been done annually for the last two decades," wrote Matthew Shepherd, director of communications and outreach. 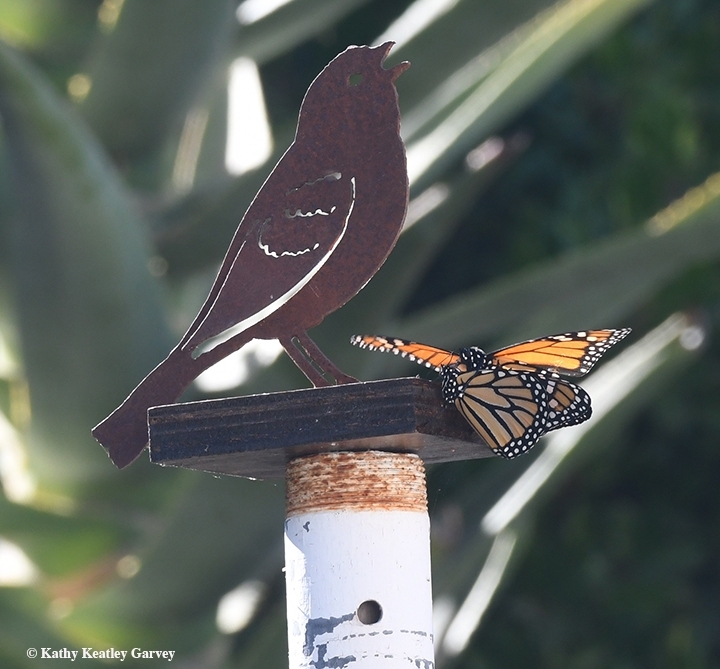 "We're still completing the count for this year, but preliminary results show disturbingly low numbers of monarch butterflies overwintering in California." "The count results that we have from 97 sites show only 20,456 monarchs. In case you're thinking--'Wait, why say anything now before you have all the data?' 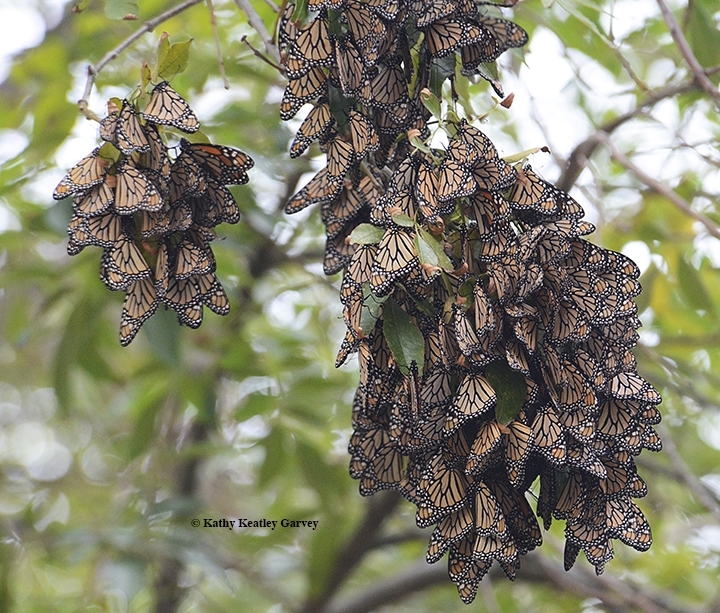 --it's worth noting that the sites already reported include many of the most important overwintering groves and combined host the majority of monarchs overwintering in California. In 2017, these sites hosted approximately 148,000 butterflies, more than three quarters of the total monarch overwintering population. The 2018 numbers represents an 86% decline from last year—which was already a low population year." "We were not expecting this to be a great year because we knew it had been a rough season in the breeding and migratory range, but it's looking worse than anyone had expected," Shepherd related. "If the rest of the Thanksgiving Count data show the same trend as these sites, we anticipate seeing less than 30,000 butterflies overwintering in California this winter. In comparison, last year there were more than 192,000 butterflies counted; in 1997, it was estimated that more than 1 million overwintered; and research suggest that there were at least 4.5 million monarchs overwintering in California in the 1980s." To read more about the count and what may be causing this abrupt decline in numbers, access the Xerces blog, Early Thanksgiving Counts Show a Critically Low Monarch Population in California. 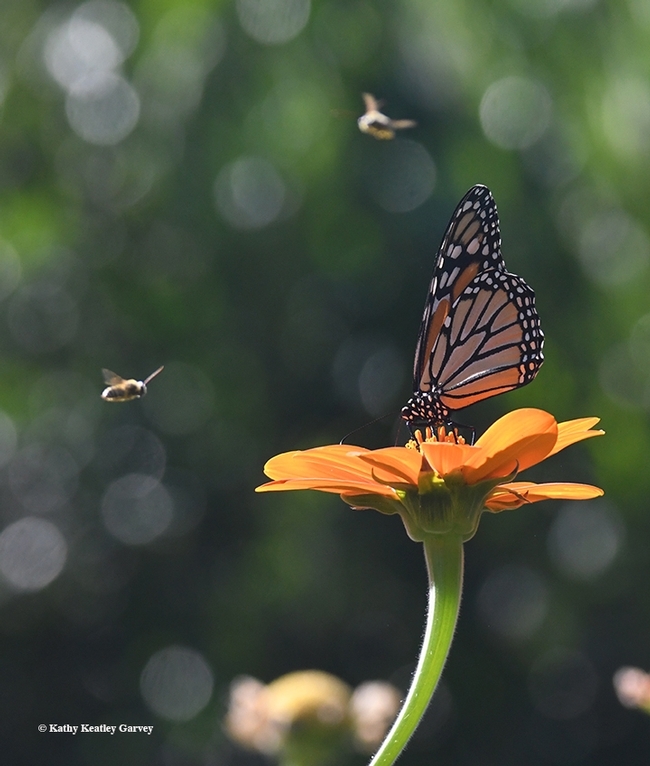 The Facebook page, Monarch Butterflies in the Pacific Northwest, affiliated with the migratory monarch research projects of Washington State University entomologist David James, knows the situation well. 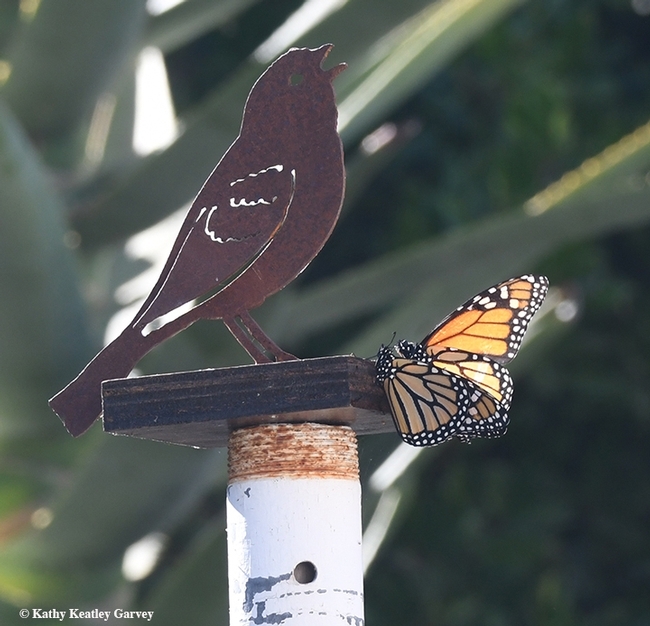 On Nov. 27, the administrators posted: "This time last year we had found almost 50 of our PNW-tagged Monarchs in California! This year is a very different story with just 10 tag recoveries so far in California. The tenth recovery occurred on November 19 at the Moran Lake overwintering site in Santa Cruz. E5363 was spotted and photographed by John Dayton. This male was reared by Belinda Vos and released in Talent, Oregon on August 17 into extremely smoky skies. Regardless, E5363 flew 367 miles across the landscape to get to Santa Cruz." "Good survival of our small overwintering populations is even more important this year, if we are to see a rebound in numbers next breeding season. However, we may get a boost from the eastern US population which unlike the west had an excellent breeding season in 2018. Back in 1994, the western Monarch population crashed to 'nothingness' then bounced back the next year. The late and revered Monarch researcher, Lincoln Brower connected this remarkable recovery with a likely westward shift of spring migrating Monarchs from the Mexican overwintering sites. He theorized that the western population may be subject to periodic declines from drought and climate cycles and depends on refreshment from Mexico. We will get the opportunity to see if this occurs in spring 2019. If the large summer population of monarchs in the eastern US translates into a large overwintering population, any 'leakage' to west of the Rockies could be significant. Let's keep our fingers crossed!" And the U.S. 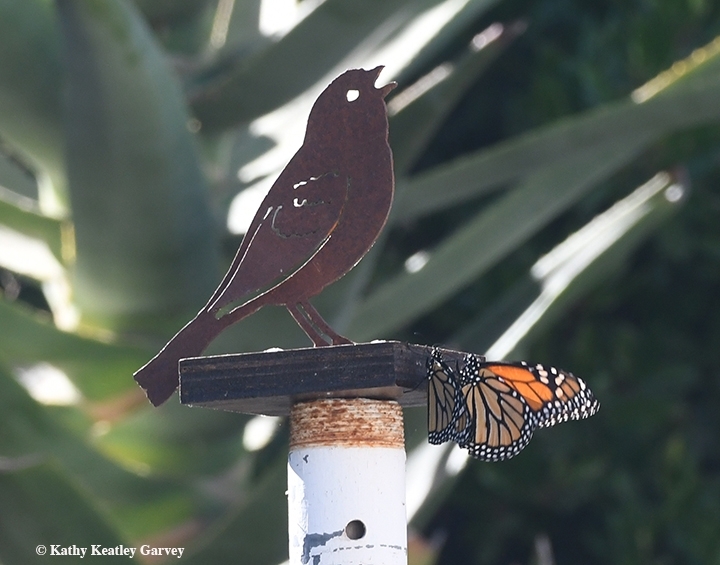 Fish and Wildlife Service posted this on its Facebook page yesterday: "The California overwintering monarch population has been reduced to less than 0.5% of its historical size and has declined by 86% compared to 2017." Meanwhile, brace yourself for a dreary monarch season next year.